Swam dry screw vacuum pumps are designed under SWAM’s unique screw profile engineering to fulfill wide range of chemical and industrial processes. 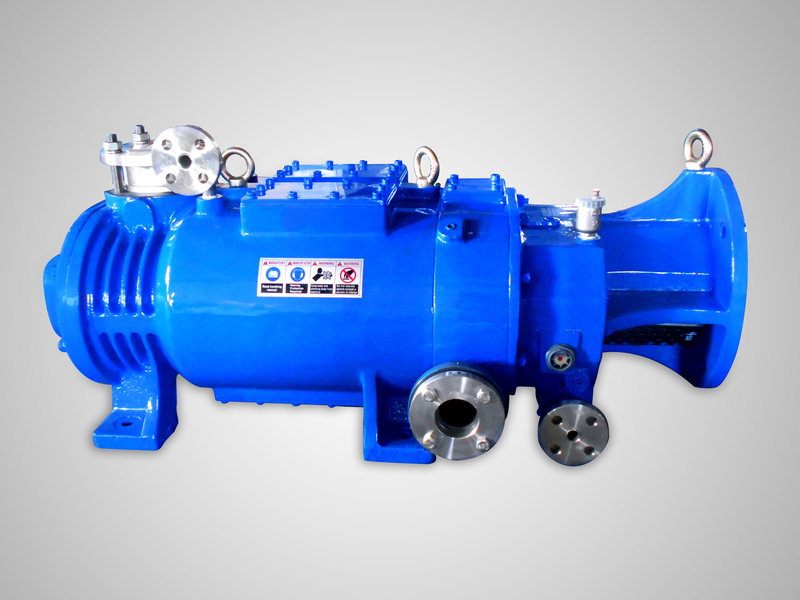 It is operating by rotating a paired screws that efficiently admit gases from inlet into the pump inside and compress through the screw’s swept volume toward the discharge. Capacity: Upto 3500 M3 / Hr.